Healthcare is changing at a rapid speed. In an attempt to keep up to date, my goal for 2019 was to find conferences and events that help me learn about the advances taking place in our healthcare system, so when I saw a post on LinkedIn for the 11th Annual ConvUrgent Care On-Demand Strategy Symposium, I was intrigued. As I read the conference overview, I realized this was a conference I should attend. The meeting was put together by Merchant Medicine. Merchant Medicine is a management consulting firm advising health systems on trends and opportunities, medical groups on urgent care centers and how they can work together, retail clinics that offer access to care in a new way and, employer solutions to reduce absenteeism and presentisms of their workforce and other related on-demand services. I signed up for the conference and on the appointed day drove down to Fort Lauderdale Beach for the opening of the conference. Tom Charland, the CEO of Merchant Medicine opened the meeting by welcoming the attendees and sharing that the audience was made up of leaders from Ambulatory Care, Business Development, and Population Health organizations as well as hospital systems, independent urgent care operators, payers, investors, and research firms. He talked about the current state of the healthcare market and where On-Demand Care fits into our disruptive healthcare system. As I listened to the speakers, I thought back on my days as an emergency department nurse in the mid to late 80s. There were so many nights, my colleagues and I thought how challenging it was to meet the needs of the patients who came into our busy ED in Center City Philadelphia. Most of their complaints were minor in nature, but they came to the ED because they could not take time from their day jobs to see their PCP. Others did not have a PCP, so when they got sick with a cold or developed a bad back, they came to the ED. People complained because they had to wait hours to see the doctor. We did our best to get them seen as quickly as we could, but if a code came in or a gunshot victim, they waited. Later, as a workers compensation nurse case manager, getting the injured worker to see a doctor who could evaluate and treat them promptly was not easy. Employers struggled to hold jobs for their injured workers. The injured worker was often seen in the emergency department. Traditionally they were seen, had the needed diagnostic testing done and given pain medicine. They were told to see a specialist for continued care. Usually, they had to wait for a few weeks for an opening in the doctor’s schedule. In the meantime, they were given a note to stay home on bedrest. Employers did their best to hold the jobs of their injured worker, but it was not as easy as days turned into weeks and weeks turned into months. Their businesses were impacted, and it seemed like a no-win situation. Today, Urgent Care Centers are meeting this need. Many are staffed with Occupational Health Specialists and understand the workers’ comp rules. They have relationships with specialists so the injured worker can get in to be seen in a timely manner. If therapy is needed they can provide that in many cases onsite. Return to Work rates are measured and outcomes are improved. It was clear, a new model of care was needed to meet the needs of people when they became sick or were injured at work. In addition to how care is delivered, the cost of care and the shift of risk onto the average person is at a tipping point. With increasing deductibles and higher out of pocket costs, people are looking for care to meet their needs when they need it and in a cost-effective manner. This was driven home to me recently when I got a terrible rash. I knew I had to see a doctor, but when I called my PCP, I was told she was booked. I went to my insurance company website, and the first page that popped up showed me the variety of providers that were in my network that I could see if I could not get to see my PCP. Each group was explained and given dollar sign like they do with the restaurant. For example, if I went to a convenient care center such as a Minute Clinic, there was one $ sign. If I chose an urgent care center in my network, there were two or three $$$ signs. If I decided the Emergency Department, there were four or five $$$$ signs. I clicked on each and read the explanation for each. I felt that the convenient care center would meet my needs so off we went. I registered, paid my $10.00 co-pay and waited to see the Nurse Practitioner. She knew immediately what the rash was as she was a camper. She gave me a script for a few medications that she explained would help relieve the symptoms. She said she would send a report to my PCP and to return if any problems occurred. I walked over to the pharmacist to get the script filled and was home in under an hour! Today, people want convenient care that is cost-effective that they can access on their terms. Convenient Care Centers, Urgent Care Centers, and Telemedicine programs are new models of care meeting these needs of today’s healthcare consumer. The 11th Annual ConvUrgent Care On-Demand Strategy Symposium provided insights into the providers in this space, reimbursement challenges organizations are facing and technological advances changing the delivery of care at a rapid pace. I was also interested in the exhibitors who attended. They introduced new technologies, communication tools, and innovative products and services Urgent Care Centers can use so they are efficient and profitable. As a newcomer to this event, I learned that the Urgent Care market is an emerging business model that is providing a needed service to meet the needs of the public efficiently and cost-effectively. I learned that Urgent Care owners are focused on providing care that is safe, effective and based on the needs of the patient. They understand their role and where they fit into the system. They are working to close the gaps in our disruptive healthcare system. Today, Urgent Care Centers are an integral part of Health Systems, Accountable Care Organizations, and Payer networks. Employers realize that this new model of care is vital for their workers to lower absenteeism by providing healthcare services after regular business hours to meet the needs of their workers cost-effectively. Physicians, Pharmacists, Nurses and all members of the healthcare team need to understand how we can all work together as the Urgent Care market is here to stay. They are an essential resource for our patients and caregivers. 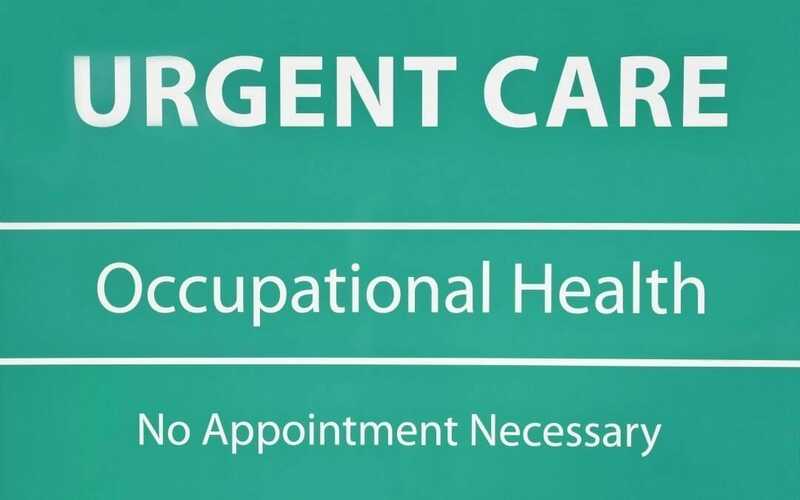 To learn more on Urgent Care Centers and on Demand Care, visit Merchant Medical Website. They have many reports, research papers, and information on the Urgent Care On Demand Services that are now part of the broad healthcare industry. Thanks for reading. Feel free to share this post with your family, friends, and colleagues. If you have had an experience in using Care On Demand, share in the comment section. Have a good week!